An unmetered dedicated server is the kind of hosting that is not only dedicated to your web hosting activities specifically but also has unlimited bandwidth for a period of one month. If you are wondering what bandwidth is? It is the amount of data transferred to and from your server. So, the servers assigned specifically for you shall be free to use as much bandwidth through the set port speed that connects your server to the network. Most conventional servers have a 1Gbps port with a 10TB bandwidth cap. So, with unlimited bandwidth the Netherlands unmetered server offers optimized dedicated hosting experience. Why should you choose an unmetered dedicated server host installed in Netherlands? The reasons to switch to an unmetered dedicated server located in Netherlands are many. Having an unlimited bandwidth committed host allows you the benefit of avoiding bandwidth overage fees. Conventional metered dedicated servers do not allow for this measure and creates hassles since you have to keep track of the amount of bandwidth being used just to avoid having to pay extra. An unmetered server rids you off this hassle. If your company is a startup or a small scale enterprise experiencing rapid growth then unmetered dedicated hosts offer another massive advantage. If you are experiencing growing traffic on a daily basis it is impossible for you to know how much bandwidth you will need. Having this server will let you experience growing traffic without slowing down your website and creating hassles for your visitors, be it for gaming, video streaming, web hosting or any other purpose. However, there is one thing that needs to be kept in mind. An unmetered dedicated server from Netherlands is not the same as an unlimited toegewijd (dedicated) server. The fact is that there is nothing known as an unlimited bandwidth dedicated hosting. 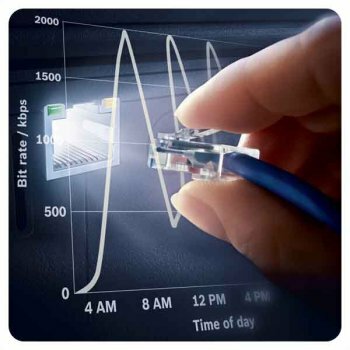 Even if you have an unmetered server, there is a limit on the amount of bandwidth a server connection can process up to. So, if there is any hosting service that makes claims such as unlimited bandwidth, while selling you their hosting service is simply bluffing since no one can provide such a feature in their service. An unmetered server simply means that the limit of data being transferred to and from your server is unlimited, not the bandwidth. How to choose an unmetered dedicated server? When you are about to choose an unmetered host be aware of the following points. It is very crucial to review the terms of service while opting for such a dedicated server so that you won’t face limitations with respect to the content or services you would run on your server. A carful browse through the acceptable policy for use is always a good habit and can spare you off major future hassles. This will bring forth all the clauses that shall prohibit you from certain activities, if any. Ex: There are many such unmetered dedicated server providers even from Netherlands who claim to offer unmetered usage but do not allow features such as high bandwidth video streaming. Do some research and make a list of service providers who have been in the business for a long period of time. Seek out the one that has the most promising reputation. A host with a new budget most likely will be overselling their service. It is no big deal for a service provider to offer a 100Mbps connection to the internet and connect multiple servers to it. This will technically give each server a 100Mbps unmetered line but will easily slow down the network and bottleneck and limit the activity of each server. Opting for a reputed server provider will ensure that you shall experience a steady and reliable hosting service but also that you will receive much better customer support. Customer support is of extreme importance since you would not want to face issues and then wait for lengthy periods of time for some technician to come and fix the issue. In the process you will end up losing massive amount of money. So, stay careful and don’t be oversold. As the owner of a business you would expect to experience an “ACTUAL” unmetered toegewijd (dedicated) server that belongs to Netherlands just for yourself. This server should guarantee unlimited bandwidth amidst flexible management and proper server usability. One you avail this service, keep monitoring the server’s performance to see to it that you are getting the best package available. After all, you need to get your money’s worth! In this way, you will only be charged for the speed of the port you are using and not the amount of data you use in a month. This is going to turn out to be a major saving for you if you use streaming media on your websites. Because it is a dedicated server you will be the sole user of your port thus ensuring uncompromised and secure data transfer. This in turn will spare you off many hassles and major costs since you will not be prone to extreme virus threats or data hacking. With unmetered dedicated servers comes performance stability if they are situated in Netherlands or any other European country. If you consider shared servers then you will have to share your port with various other clients. This will lead to slow done in server data transfer. This will severely affect the performance of your business website. Having a dedicated server will offer you full flexibility to manage streaming media content and multiple websites in an optimized manner because you are well aware of the stability and reliability in its service. As there are no fluctuations or drop in server speed you can make the most out of your traffic during peak hours of your business. Moreover, an unmetered dedicated server is allocated exclusively for you. This gives you the freedom to customize it and use it in the way you please. There are many conventional shared servers that do not support many sites, apps or platforms. You can leverage these toegewijd (dedicated) hosting systems for downloading apps, sites and files on any operating system. This will help you carry out your digital operations in a very flexible manner. Moreover, you can easily customize the settings of the dedicated server with respect to your system if you are not comfortable with it. You may think that how do unshared ports offer value for money when they cost more than the shared ones. Well, the answer is in the way you look at it. Opting for unmetered dedicated servers from Netherlands should be looked at as an investment rather than an expense. This is because they offer more than one benefit. Features such as unlimited streaming shall more than make up for the cost because it will ensure that your every need is met without having to compromise or curtail on cost. Over and above that, the security options spare you off so many issues. If you use a shared server with unscrupulous clients, you bare the risk of getting banned or blacklisted from visiting many sites as a result of their actions. So, avoid scams and hacking and enjoy unlimited freedom when it comes to web hosting with the support of unmetered dedicated servers. Its excellent speed and flexibility shall make sure that you do not lose out on traffic due to limited bandwidth of frustrated website hanging issues. Go for it! © 2019 Netherlands Unmetered Server.